The breeze kissed the back of my neck with its briny breath; its hum filled with the azure depth's secrets of sunken treasures and ships long lost. I buried my toes into the hot sand, each granule pressing its warmth into the soles of my feet. The sounds of children's joyous shrieks and the banter of friends faded and roared between each swell of the ocean's waves. This was baby V's first trip to the beach, and although I found it calming, the array of sights, sounds, smells and textures was too much all at once and she decided that she would rather head home to rest her head on her familiar bed. Even though our beachside sojourn was shortlived, that breath of salty air was enough to rejuvenate my mind and spirit. Once home I felt the familiar pangs of hunger begin to gnaw away, but with the oppressive heat I wanted something refreshing, clean and crisp to bring a coolness to palate. And thus, a salad was chosen. taste: 4/5. Fresh and light with a bit of crunch. I am always a fan of salads with character. 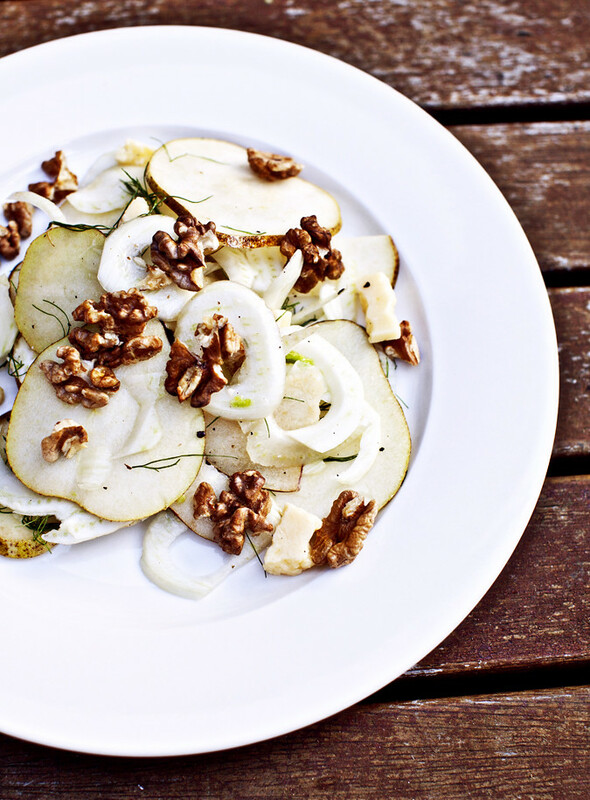 Fruits, nuts and cheeses can add a ton of flavour and interest and this salad has all three. 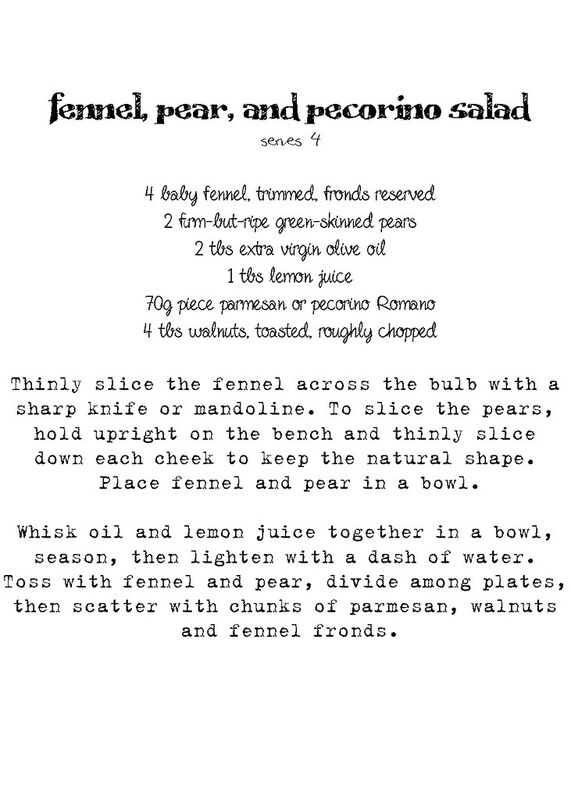 The crunch and licorcie hint of the fennel plays wonderfully against the sweet, juicy pear, tangy lemon dressing and salty cheese. The walnuts add an extra chunk and 'meatiness' to the dish. It's a simple and light side dish that's not too powerful on the tastebuds. This is my kind of food. Especially right now. I LOVE a good salad. A splendid salad with a lot of oomph! Beautiful! Just discovered your blog. That is such a gorgeous picture. I must start learning to make things rustic and pretty!